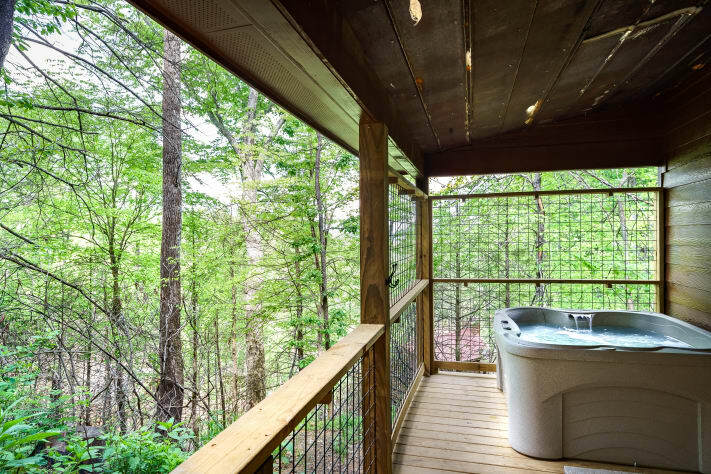 Designed specifically for couples, we welcome you to escape from normal life to a vacation home tucked away in the Roaring Fork section of Gatlinburg in Forest Springs. 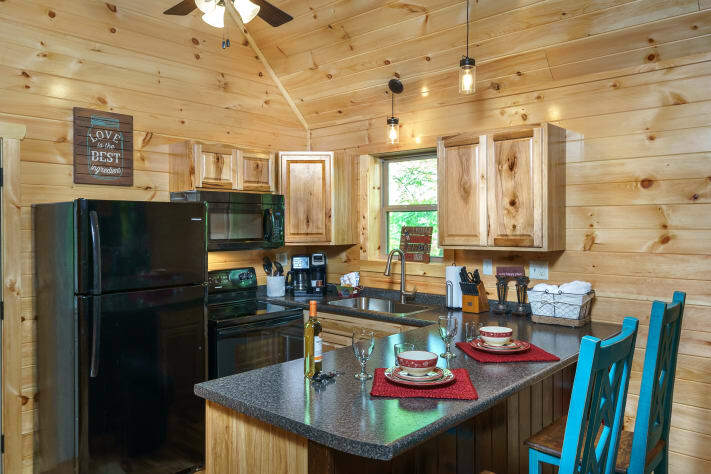 We are slightly over a mile to downtown Gatlinburg, yet enough in the woods that bears sometimes walk by...Smart access to TV is available when you want to be plugged in to the world, but when you turn the TV off is when you will really enjoy our cabin. 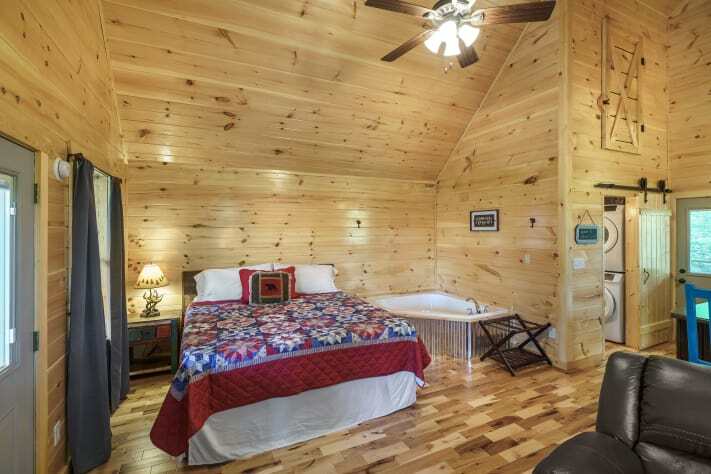 A king sized bed crafted from reclaimed lumber with a new memory foam mattress invites you to sleep in and relax. A hot tub on the private back deck welcomes you to relax and check out the night skyline. 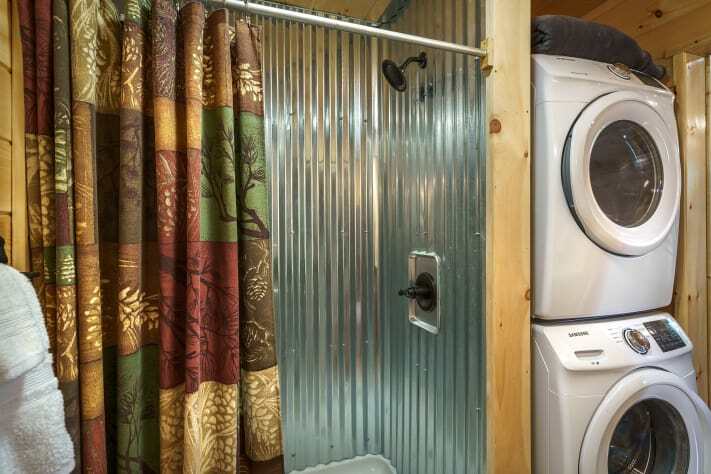 If it is too cold outside, retreat inside to the couple sized corner whirlpool! We have a full kitchen and a charcoal park style grill for those nights you want to stay in. 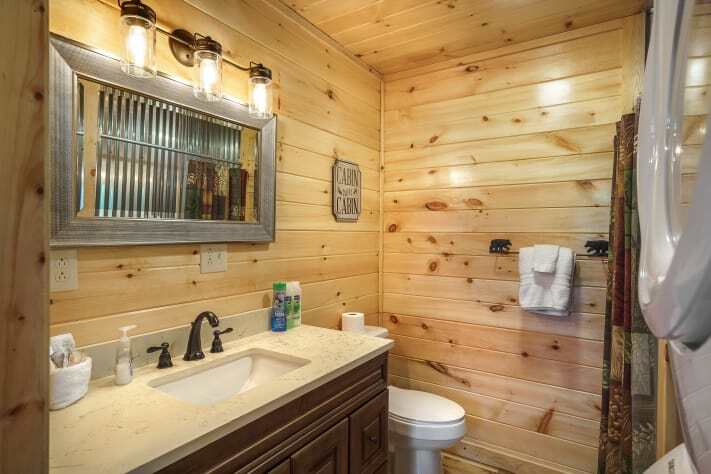 Handcrafted doors, a pine interior and hickory floors are warm and welcoming! 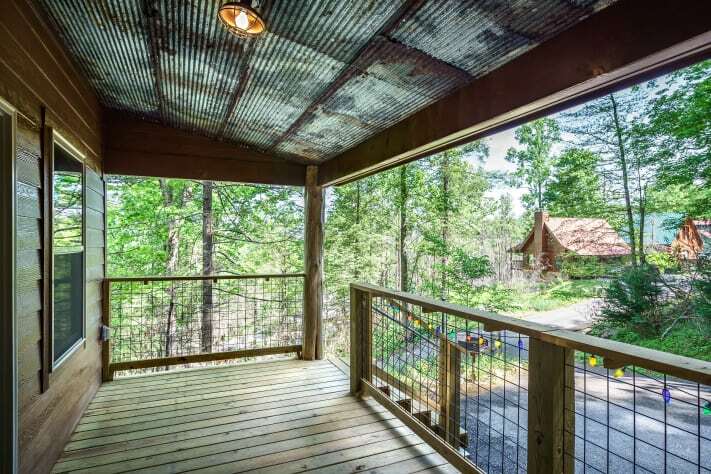 Escape with your special someone to our cabin! 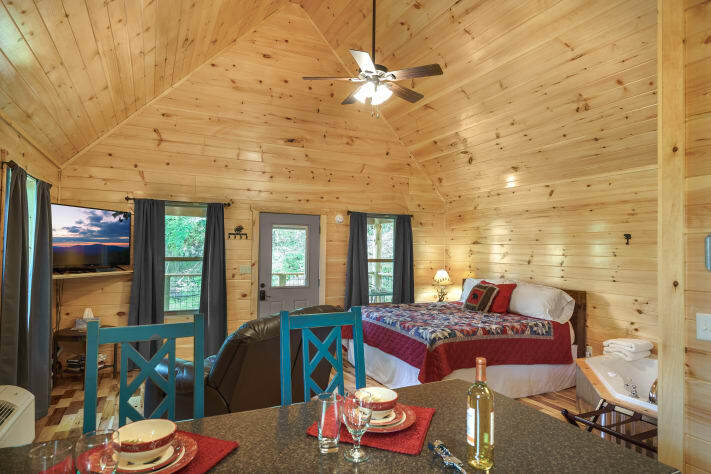 * If you are traveling with another couple, we have an almost identical cabin located fairly close by called Southern Nights.